Mineral industry executives are calling on federal and territorial governments to avoid litigation with First Nations after meetings in Vancouver at the Mineral Exploration Roundup. Mineral industry executives are urging governments to work to resolve issues with Yukon First Nations following meetings at the Mineral Exploration Roundup in Vancouver, B.C. About 150 company executives met with First Nations delegates yesterday. During the meetings, First Nations leaders emphasized their desire for partnerships with mining companies — and the jobs that come along with them — but also said they must defend their final agreements. The Yukon's Umbrella Final Agreement with First Nations is at the centre of an ongoing dispute at the federal level. Bill S-6, which is in second reading, would amend the Yukon Environmental and Socio-economic Assessment Act. First Nations are adamantly opposed to the bill, saying it undermines the foundation of the Umbrella Final Agreement. Aboriginal affairs minister Bernard Valcourt angered First Nations leaders when he told Yukon chiefs they are not "governments" under chapter two of the agreement — a statement that led Premier Darrell Pasloski to call on Valcourt to "correct the record." Industry CEOs at the Roundup say they would like to see government and First Nations avoid litigation, if at all possible. Janet Lee-Sherriff, CEO of Golden Predator Mining Corp., says her company wrote to Valcourt just days ago. "The process has to be done right," she says. "We would seek to see the parties work together to avoid court." 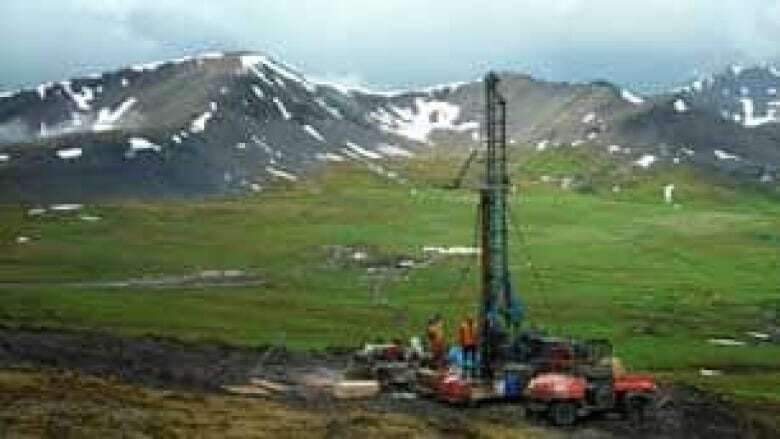 Eira Thomas, CEO of Kaminak Gold, which is in the midst of a feasibility study for a proposed mine site in the territory, says resolving disputes between government and First Nations needs to be a top priority. "Kaminak continues to encourage dialogue to achieve a resolution on those outstanding issues," he says. Rick Rule, with Sprott Assessment Management — which funds mining projects — was more direct. "If you want my money, don't ask me to fund a dispute," he says. The Mineral Exploration Roundup wraps up Thursday, January 29.